A - B - Seymour: Bat Freebies and on Bloglovin'! We have had so much fun learning about bats over the last 2 weeks! I wanted to share some of the great resources I have found with you so I started to type up a new post about bats. 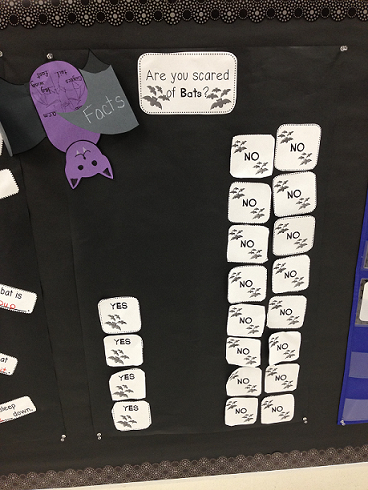 However, when I went back to see what I shared last year about bats I saw that we did the same exact activities! Rather than retype the same things, I'm going to link back to it HERE. Click on the link to go get some great bat freebies!! 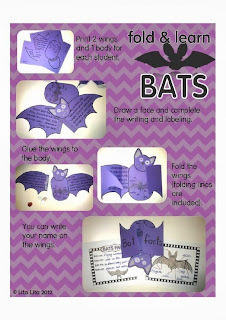 My kiddos loved making bats with bat facts from Lita Lita. You can see one of the bats on the top of this graph! I also wanted to share that I am now on Bloglovin'! I am not that old, but sometimes it is crazy trying to keep up with all these social networks....Facebook, Twitter, Pinterest, TpT!